I have collected 2 prints from Place in Print after ordering them on line. This has worked very efficiently, with the prints being well wrapped and ready for collection at the time agreed. The website is also easy to use, with good reproductions of the prints. 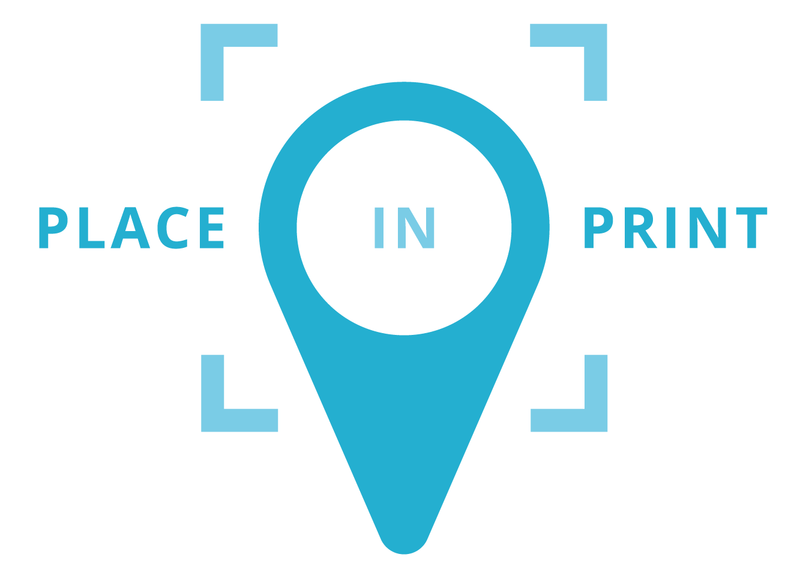 Live in NW1? 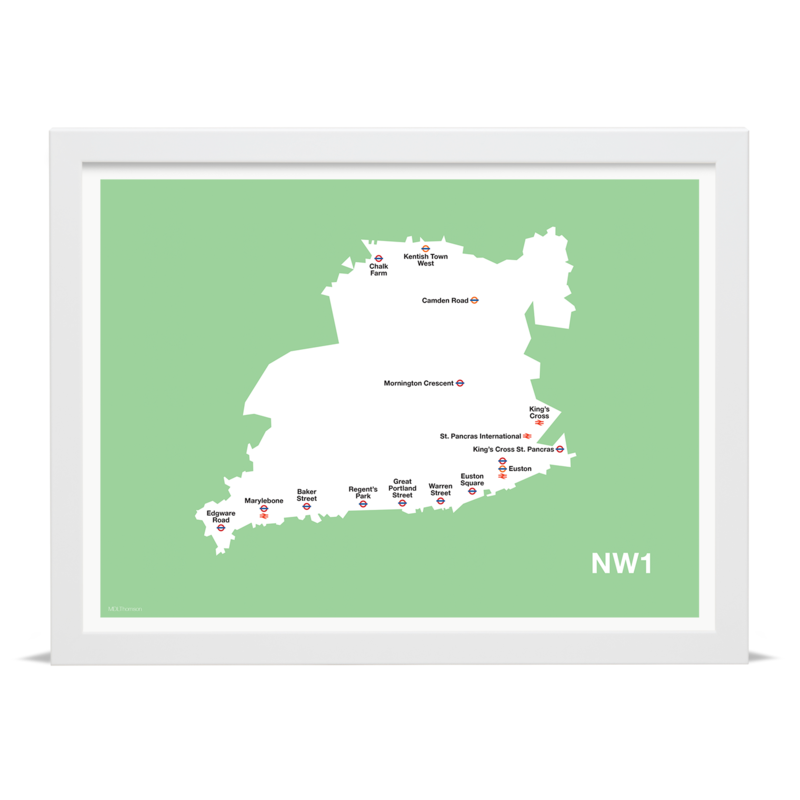 You'll love this stylish map print of NW1, London. 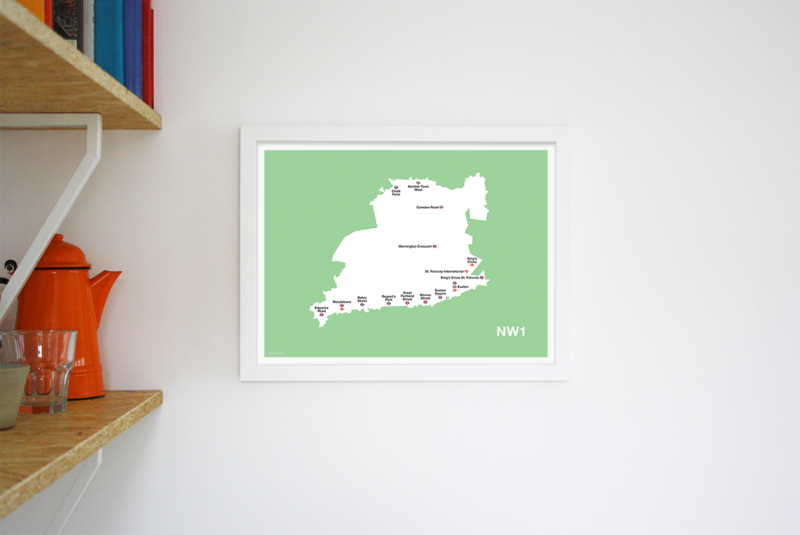 The bold art print features all of the tube and rail stations in NW1, geographically positioned.